Oh Sheryl Crow. You sure do know how to put out the PERFECT summer single. Lightweight and breathable, just like the perfect summer outfit...OK don't know where I'm going with this analogy. Point is, the song is quintessential SUMMER. I love the whole 'concert in the park' vibe that the video has going on. "Summer Day" is the first single off of 1000 Miles From Memphis which is due out July 20th on A&M Records. The single is available to download on iTunes now. 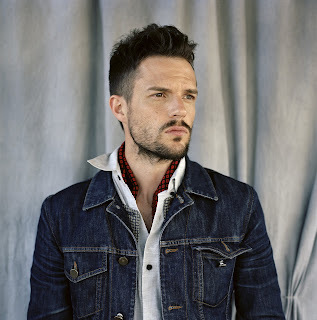 Brandon Flowers' "Crossfire" sounds like a Killers song, if The Killers happened to be missing 3 band members. I have no problem whatsoever with this comparison because I happen to love The Killers. If "Crossfire" is any indication of what we can expect from Flowers' debut solo album, Flamingo, (due out in the UK September 6th and September 14th in the U.S. on Island Records) than I think we'll be happy...or at least I'll be happy. I know that much. HELLO! Stuart Price serves as one of the album's producers! He produced the last Killers' album Day & Age (as well as a boatload of other songs by other artists), so it's only fitting that he's continuing on and doing Flowers' solo project.